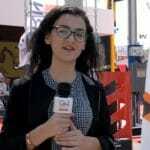 So far, the challenges in the oil and gas industry are tremendously ablaze. 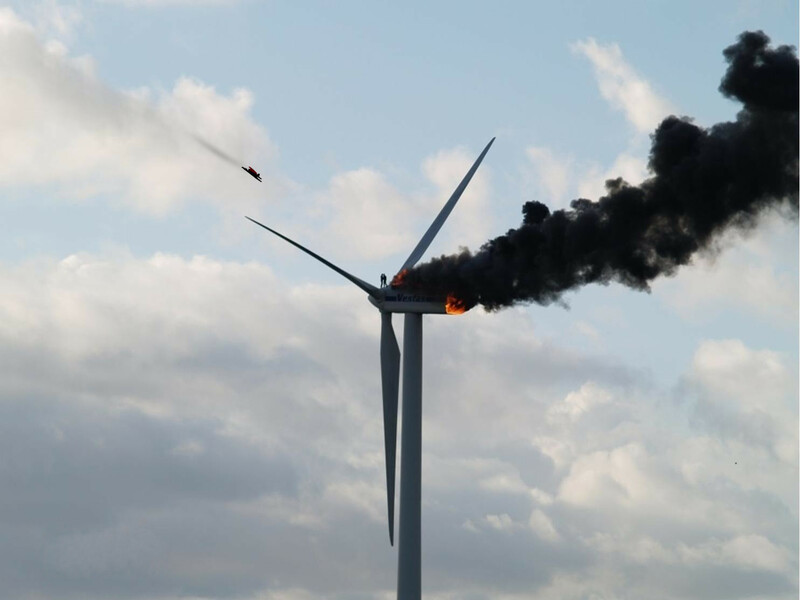 As stringent environmental standards are continuously upgraded through the years, the industry might be leaning towards losing its luster in the energy industry. However, the oil and gas leaders never cease to look for ways to be compliant and competent at the same time. Embracing change is never easy. 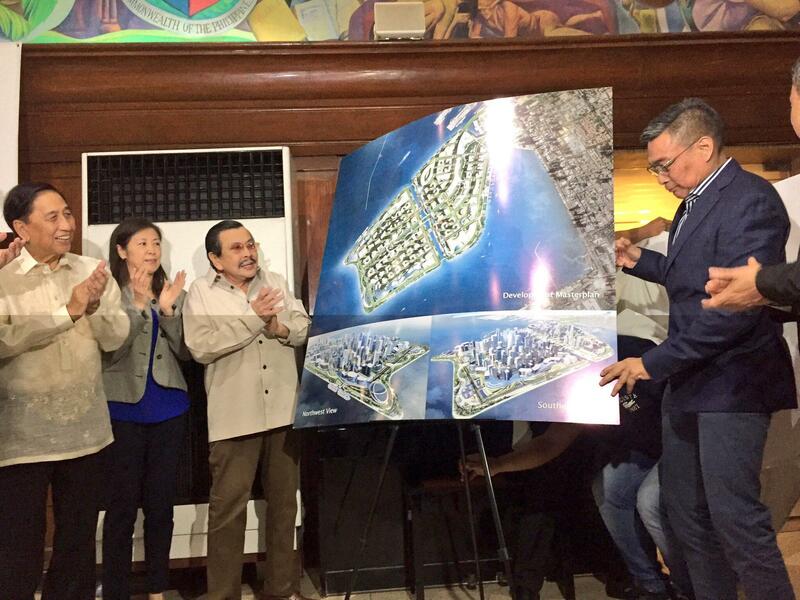 It requires massive efforts to be able to face the adversities and meet global expectations. But looking at how the OGL leaders dealt with the pressure of reducing costs, limiting environmental footprint and optimizing the performance of their companies serves as an inspiration to those who are not ready to commit into sustainability. 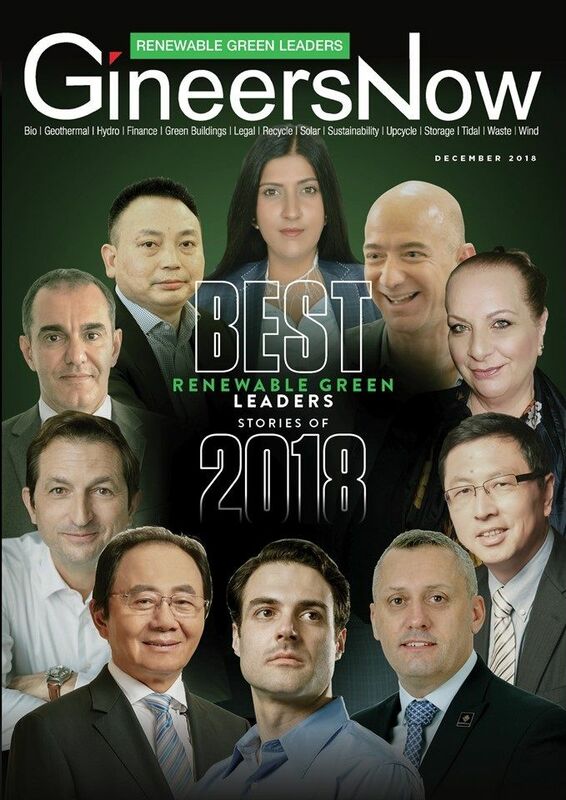 Today, we will do a recap of the individuals in the field who did not resist change but rather took it as an opportunity to improve their products and services and become an ally in achieving a sustainable future for the oil and gas industry. 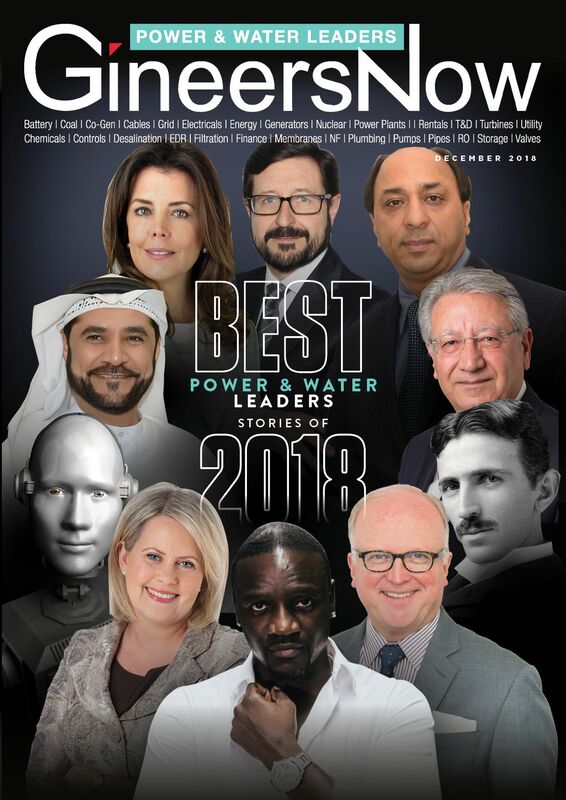 In February’s Oil and Gas Leaders magazine, we learned the story of Ronan Le Gloahec, Regional Managing Director of Weir Oil & Gas in EMEA region, and how the company is thriving despite the prolonged downturn in the energy industry as well as its commitment to digitization and operational excellence. Meanwhile, we also looked into the leadership of David Reid, the Chief Marketing Officer of National Oilwell Varco (NOV), and how the company built a system that could be expanded to permeate the entire oil field and deal with delivery capacity challenges in a market with very little to offer in spare finances. 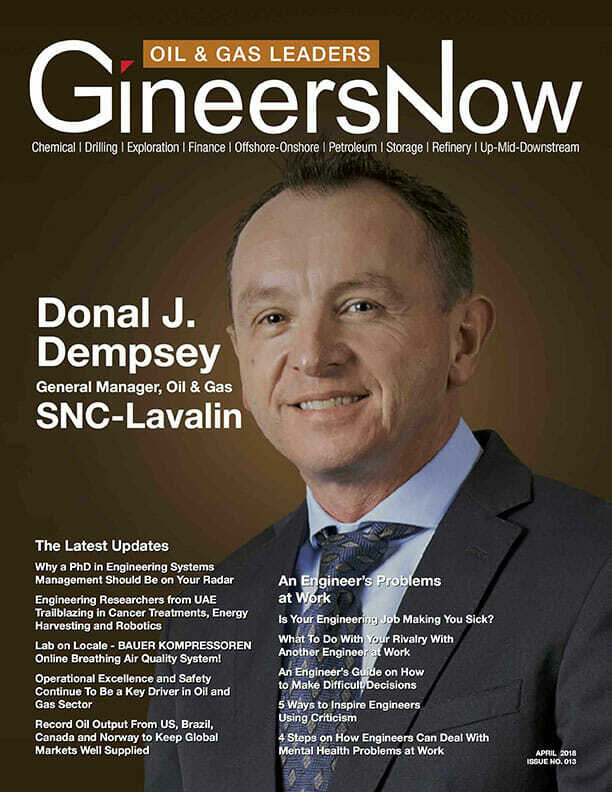 Donal J. Dempsey, General Manager of Oil & Gas in SNC-Lavalin, is Oil and Gas Leaders magazine’s cover for the April issue. He shared how the company established itself in the Middle East for over 40 years, successfully delivering first-class projects across oil and gas, mining and metallurgy, infrastructure and power industries. Meanwhile, Jurgen Joman, Director of Mazrui Energy Services talked about how the company’s cross- synergies among five operating companies provide a very strong brand with a very strong service offering. 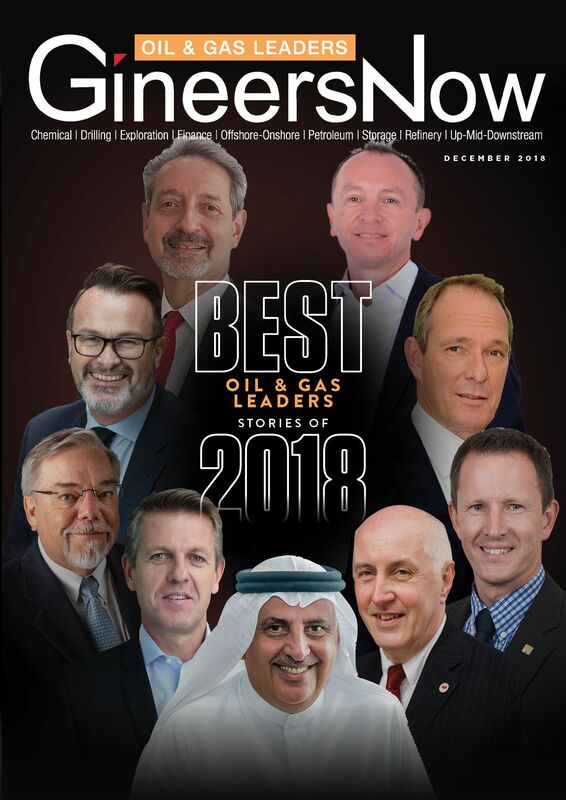 The June and July Oil and Gas Leaders issue gave us Jens Winkelmann, the Managing Director of Endress+Hauser and Jeff Householder President of Emerson’s Automation Solutions MEA. Winkelmann talked about his leadership style and how the company always maintained a diversified approach towards different industry sectors which has enabled it to manage instabilities in the market. On the other hand, Householder tackled the success of the company in providing automation technologies, software and consulting services to help customers operate their facilities safely, reliably and profitably. 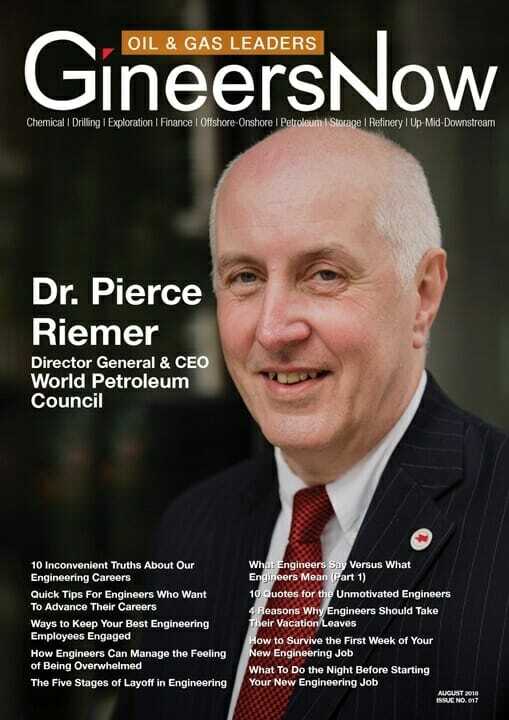 In August, Dr. Pierce Riemer, the Director General & CEO of World Petroleum Council, graced our front cover and tackled some very important issues such as the challenges in the petroleum industry, the future of fossil fuels, and the latest disruptive technologies in the field. The following month, Wafik Beydoun, the Chairman of the Board of Offshore Technology Conference, tackled how the conference developed a community of diverse ideas for a united goal of making strategies and opportunities for oil and gas industry, business, and organizations. 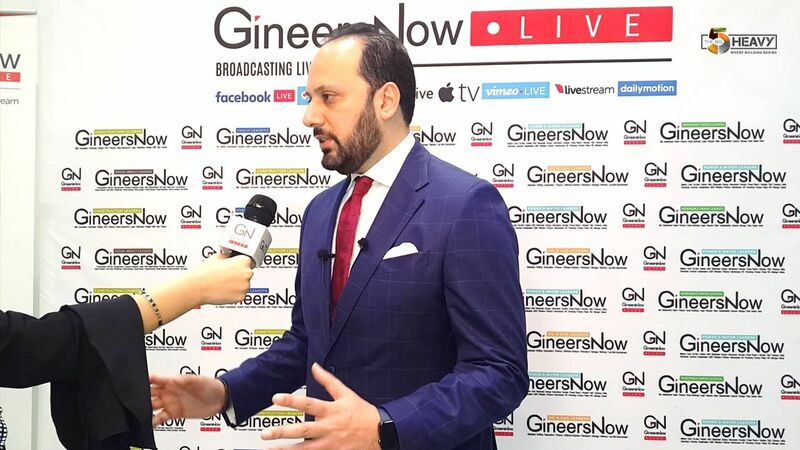 For the remaining months, we didn’t miss the chance to feature Abdulwahab Al-Sadoun, Secretary General of Gulf Petrochemicals and Chemicals Association and talk about the power of Robotics in the energy sector. Al-Sadoun tackles the commitment of the organization to minimizing energy and resource consumption by practicing the principle of maximizing the value and utility of materials over their life cycle and keeping them inside the value chain for as long as possible. Meanwhile, the November issue revealed the Robots, as a multi-faceted technology, can become a permanent solution to the ever-changing needs and increasing demands of this generation. 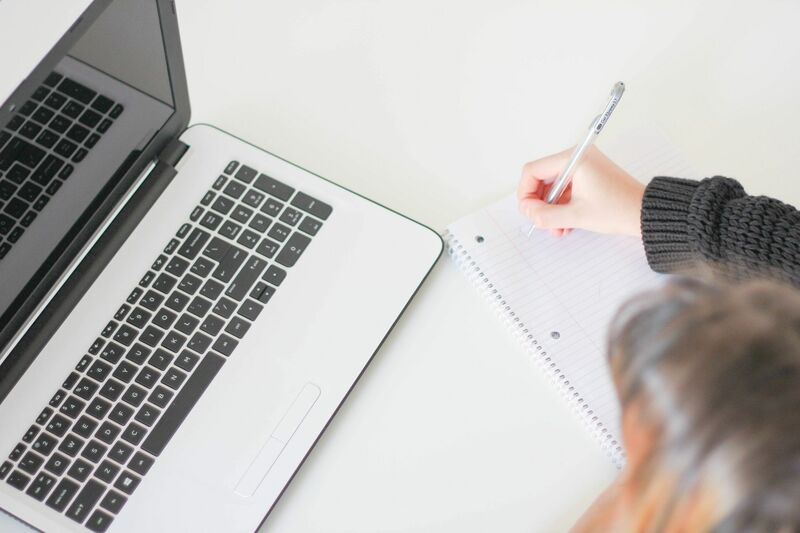 Looking back at what these individuals, companies, and organizations have done to empower the sector and remain steadfast in providing the best solutions for the global market. 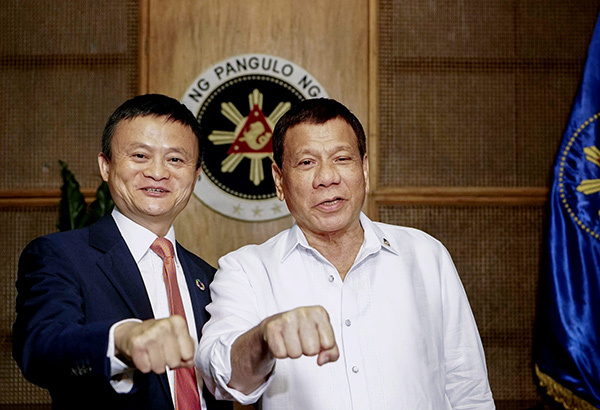 We can absolutely expect more innovations in the coming years as Oil ang Gas leaders continue to stay true to their respective missions and align their goals towards sustainability. 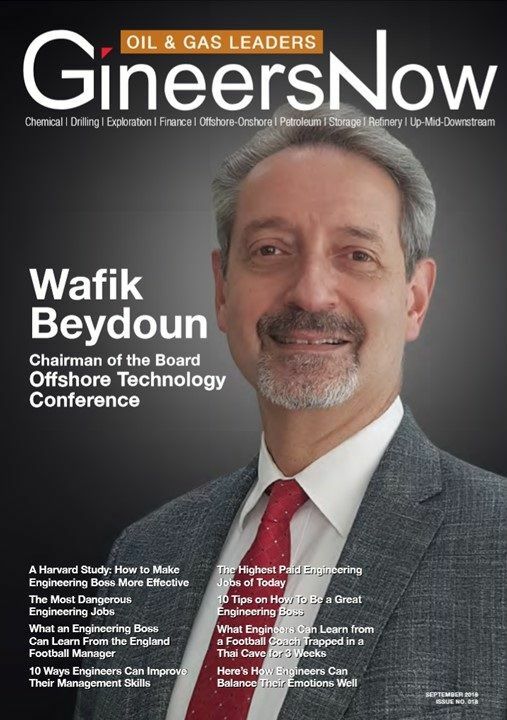 Wafik Beydoun, Chairman of OTC speaks about the peeks and lows of OTC’s pursuit toward offshore energy. He shares the different contributions, celebrations, and continuing plans of the conference. 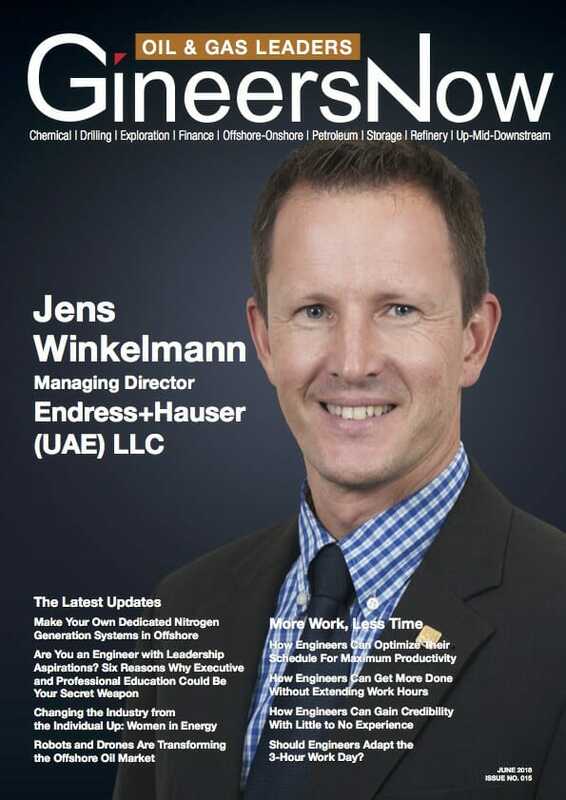 In this month’s cover story for Oil and Gas Leaders, we are featuring Endress+Hauser and its Managing Director in the UAE, Jens Winkelmann. Get to know the company’s history and how they are committed to supporting its customers along the road to digitalization. 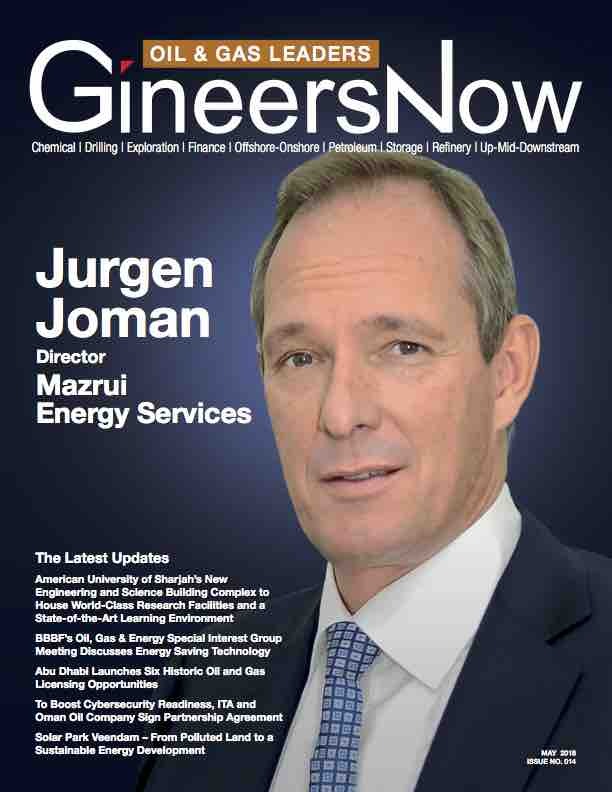 In this exclusive interview with Jurgen Joman, the Director of Mazrui Energy Services, learn more about their activities and relevance to the oil and gas industry and how he is leading the organizational strategy and overseeing the operation of five subsidiaries that make up Mazrui Energy Services. For this month’s Oil and Gas Leaders, we are featuring SNC-Lavalin, a global, fully integrated professional services and project management company and a major player in the ownership of infrastructure.